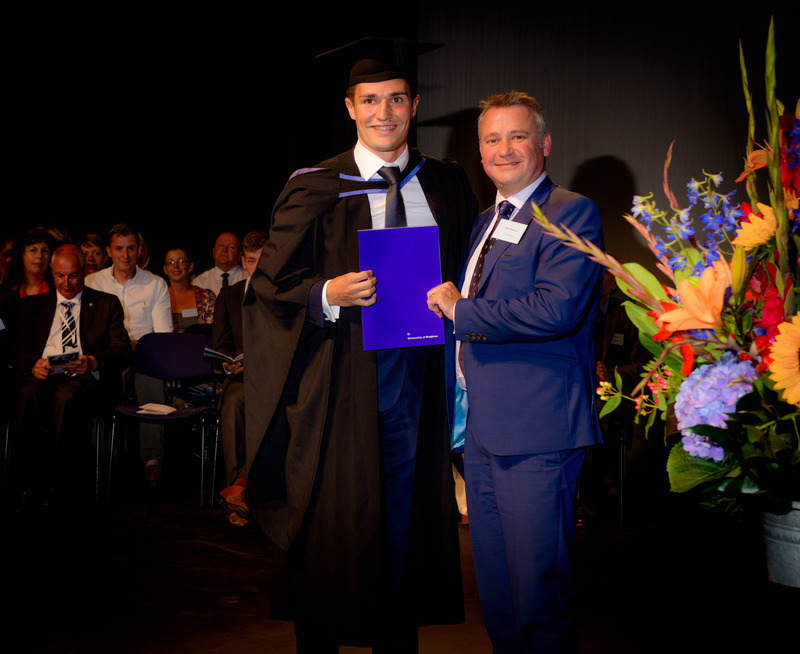 Nick Rawson, Knill James chartered accountants, presenting Nicholas May The Knill James prize for the best final year BSc(Hons) Accounting and Finance student. We are immensely proud of our students and aim to recognise and reward those individuals who excel in their studies. Each year we hold two annual awards ceremonies, the summer Prizegiving Ceremony and the autumn Excellence Awards Ceremony. We are privileged to have close relationships with many local and national organisations, who kindly sponsor prizes at these events. Sponsors come from a variety of sectors and offer prizes across the full range of courses, study years, subjects and modules. Prizes typically comprise book tokens, Amazon vouchers or cash awards. However, some organisations prefer to reward top students with work experience or placement opportunities. We work closely with our sponsors to ensure we have the most appropriate linked course, year or module for their prize and to determine the nature of the award itself. Sponsors are invited to both events, where they can meet their prize-winning student(s), university staff and fellow sponsors. So why would you want to sponsor one of our prizes? Our sponsors value the relationship they have with the University of Brighton and Brighton Business School. Sponsorship helps to cement this relationship and sponsoring organisations really enjoy the events, which become a fixture in their calendars. Apart from personally meeting and rewarding the students who most deserve your prize, you will have the opportunity to network with potential business partners and graduate talent over a glass of champagne and buffet lunch. 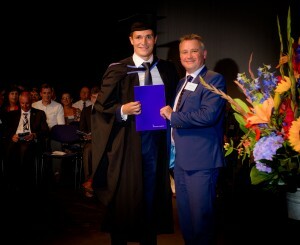 The event is filmed and sponsors are photographed on stage with the prize-winning student and the Director of Brighton Business School. This offers fantastic PR opportunities, which demonstrate your organisation’s commitment to community engagement, education and innovation through its links with the university. You can hear from one of our sponsors, and former Law student, Clare English – who met her current employer at her own prizegiving ceremony. The event is often a catalyst for participation in other university-related activities, for example guest lectures, course development and validation panels, and business networking events. We are committed to working closely with outside organisations and to ensuring the employability of our students. We do hope you can help us achieve these aims by sponsoring a prize. For further details or if you have any particular questions please contact business@brighton.ac.uk. Tagged awards, excellence, Industry, Placements, prizegiving. Bookmark the permalink.